We had another lemon windfall last week. Our friend Barry (formerly nicknamed Biker Barry for his preferred mode of transportation and luxurious facial hair, now forever to be known as Lemon Barry) brought a milk crate of freshly picked beauties from his buddy’s place in Phoenix out to our little corner of the desert. Our friend Linda, designated lemon caretaker, has generously shared this golden bounty with the community. My share was nine or ten luscious, sunny gems. 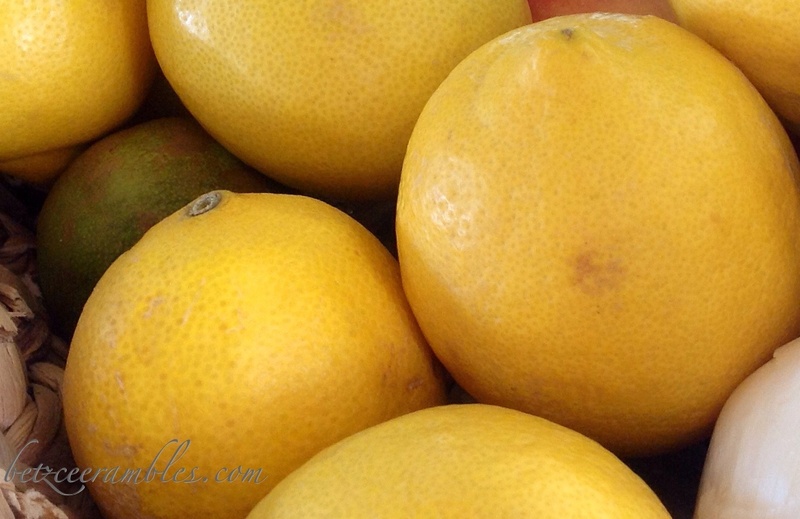 I admit to having been given the lion’s share of the lemons, as we all know I will not only use them but share the products of my culinary bumbling. 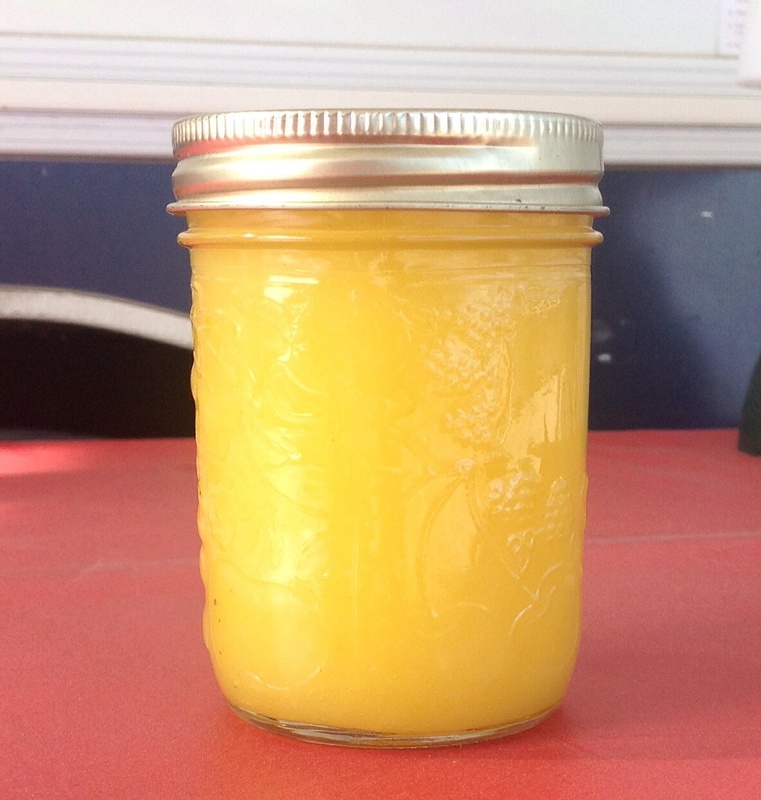 Last week I made up a batch of lemon curd from a recipe in my Canadian Living Cookbook. I chilled it overnight and the next day I folded it into a bowl of whipped cream to make a pastry filling that was a big hit at an afternoon party. Today I made the lemon curd again. As it chills in the fridge, I realise that I forgot to add the butter after cooking. A quick taste test tells me it wasn’t needed. I mean Yum! This little jar of goodness will be going to the Mexican Train game tomorrow along with some little biscuits on which to spread it. It’s still Tuesday in Arizona. Try this. Picky Eater? Not Me, Unless…..
← Friday’s Small Comfort #8: Mmmm, Rice Pudding!